As a family-run, medium-sized paper mill with three paper machines, we have a diverse production program of technical specialty papers. 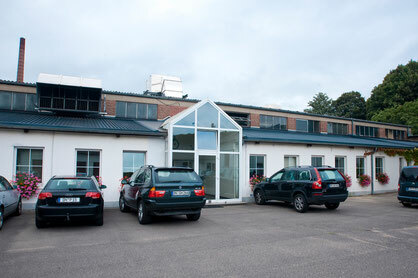 The Düren location is conveniently located in the tri-city area of Aachen-Cologne-Dusseldorf. 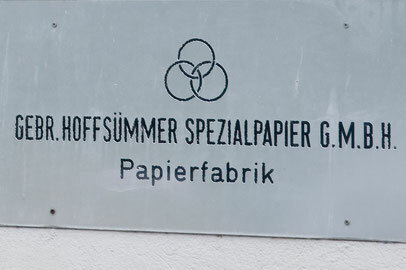 Since its founding, Hoffsümmer has been family owned. Now, as then, the owners and directors have a direct relationship to the company and to production. Tradition and flexibility are not mutually exclusive and both are capitalized on Hoffsümmer. That also applies to our role as employer. As a family-owned company, we rely on long-term personnel development. Our employees should want to identify with Hoffsümmer as their employer. For this, we offer them a secure job in a company that is both future-proof and financially well-positioned and therefore planning for the long term. In addition to reliability and dedication, we expect above all the same flexibility from our employees to meet our customers. a healthy lifestyle of our employees in the form of a health premium for low absenteeism. In what form should you send your application? Please apply in writing – by mail – with cover letter, CV, certificates and a photo. Your cover letter should indicate why you are applying for the vacancy. Is also an application by email possible? You are also welcome to send us a short application by email. Please do not attach attachments to your mail for antivirus purposes. What happens after the application is received? Your application will first be checked by the HR department as well as the managing director and the responsible department manager. If your application is a good fit, you will receive an invitation to meet us in a timely manner. and your motivation. It is also important to get a sense of whether your personality is a good fit for the company. How many interviews are there usually? If the first conversation is positive, you may be invited to a second appointment, this time with the managing director. When it comes to staffing, we want to make the quickest possible decision for you as well as for us. Depending on the position to be filled, the number of applicants and the schedule of the managing director, the decision-making process takes a maximum of two to three weeks. will in no case be passed on to third parties. Any questions about vacancies or applying at Hoffsümmer?